Hawsons are proud to be supporting this year’s ICAEW BASE competition. Last month we attended the Sheffield heat of the business simulation competition for 16-19 year olds. It was a great day attended by 12 schools and colleges from across the region. 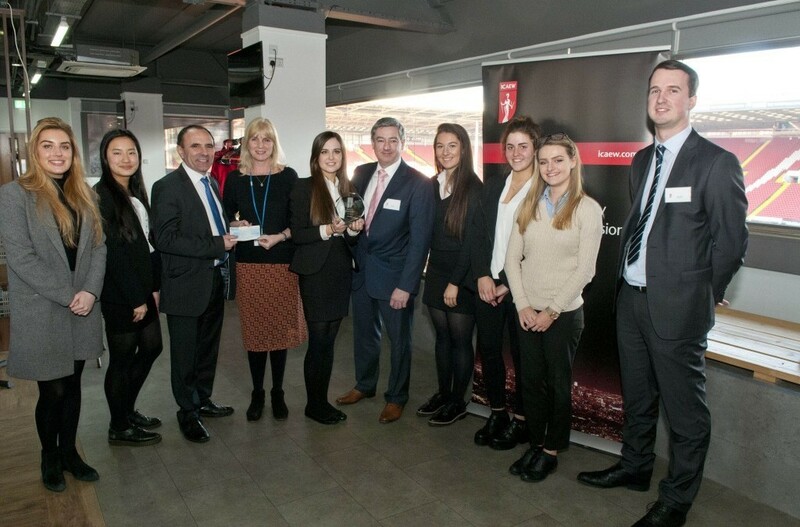 The ICAEW BASE competition provided the chance for the teams, mentored by local professionals, to compete in a variety of business challenges culminating in a presentation to a panel of judges. Sheffield High School for Girls, mentored by Dan Wood of Hawsons, emerged the victors. The team (pictured above with Dan) will now progress to the national finals that are to be held in Birmingham in June. Further to the competition there was also the opportunity for the young people to meet professionals from a variety of local firms and training providers to learn about different pathways into the accountancy profession and what being an ICAEW Chartered Accountant involves. Since its launch in 2009, BASE has continued to increase in popularity, with over 10,000 students taking part since it first began. Find more information about the ICAEW BASE competition here.